Designer and author, Susan Guzman does! Susan Guzman fell in love with quilting when she joined an online quilt guild in 2004 and immediately participated in a variety of Round Robins to perfect her skills. Her eclectic and creative background has helped her to develop a successful quilt design/freelance business under the brand of SuzGuz Designs. Since beginning her quilt design business in 2006, Susan has made samples of, and written patterns for her originally designed quilts representing over 12 successful fabric companies, as well as for freelance projects for Amy Butler Design, Free Spirit, Aurifil, PFAFF, and Husqvarna/Viking. 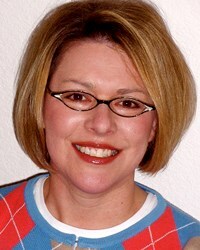 Since 2008, she has had numerous quilt designs published in Asian Fabric magazine, McCall’s Quilting, McCall’s Quick Quilts, Quilter’s Home, Keepsake Quilting, and Quiltmaker’s 100 Blocks magazines. Her work is now regularly featured in McCall’s Quilting and McCall’s Quick Quilts. Her first book became available in January, 2015. Susan recently completed, with honors, the Digital Design program offered through The Art Institute of Pittsburgh’s online division. 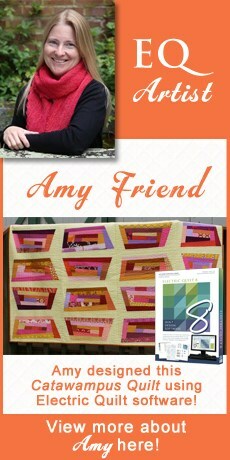 With these skills, she hopes to explore new aspects of design within the quilting and home decor segment markets. Susan began using the EQ5 quilt design software and now enjoys using EQ.